Chicago Flight Center is an Aviation News outlet publishing out of Chicago. We currently have around 1,500 newsletter subscribers - steadily increasing every month. We publish two newsletters a month and daily on www.chicagoflightcenter.com and partner websites. Social media publishing at: https://www.facebook.com/fsxchicagoflight/ and https://www.facebook.com/fsxchicago/. Our subscribers are students, pilots, instructors, owners, vendors, airports, FBOs., manufacturers and aviation enthusiasts. 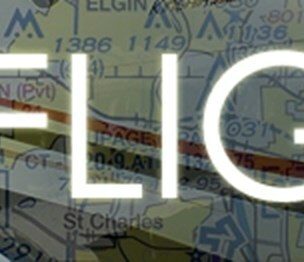 Please submit your news releases as they become available for publication to either: news@chicagoflightcenter.com or flightschoolxchicago@gmail.com. Selected News Releases will be published at no cost to the Publisher. All inquires, please call 708-299-8246. Install a QR code reading app on your smartphone to scan and convert it to Chicago Flight Center contact information. There are no reviews on Chicago Flight Center yet. According to our records, this business is located at 106 S Oak Park Ave, Suite 201 in Oak Park (in Cook County), Illinois 60302, the location GPS coordinates are: 41.8866153 (latitude), -87.7942015 (longitude). Chicago Flight Center is categorized under Newspaper Publishing and Printing Manufacturers (SIC code 2711). Known organization media coordinator is Marian Petre. You can contact the company by phone at (708) 299-8246; the following fax number is also provided: (708) 299-8246. Business website can be accessed at http://www.chicagoflightcenter. Open from 7:00 am until 7:00 am (Monday - Sunday).